· The story of our U.S. President, Andrew Jackson and how he came to get his nickname, “Old Hickory”, and his self reliant, leadership qualities. · Frank Baum – few know his name, everyone knows his book, “The Wizard of Oz”. But, just what is Mr. Baum’s story, and what did he have to overcome before writing that book? His courage to commit is unmatched by any story that I have ever told. · Lou Gehrig is perhaps the greatest baseball player of all times. But was it his great baseball talents that won the hearts of the fans, or was it his wonderful selfless spirit and heart? · Peter McGuire is a man unknown to most Americans today, but he is one of the big reasons why we even have Labor Day. His story of how he stood up what for what he believed will help us all understand how we came to be the greatest labor nation in the world. 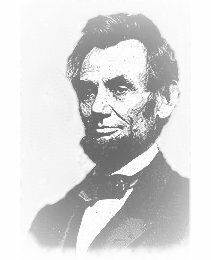 · Finally, Abraham Lincoln. Why was he labeled with the name, “Honest Abe”? But more important – what prophecy did he give us 150 years ago which is coming true today?